Everything was good, great staff... near to Colliers Wood station. I have been a client of this hotel for years and I always return with pleasure. Good location, really close to the underground station, convenience stores and restaurants around, and the breakfast was really good. There is a Metro station right across from the hotel. Price includes a nice free breakfast which is a definite bonus. The staff were all friendly and very helpful. We were able to leave our luggage early so that we could start exploring. Desk staff called and booked taxi service for us when we departed. Good service. 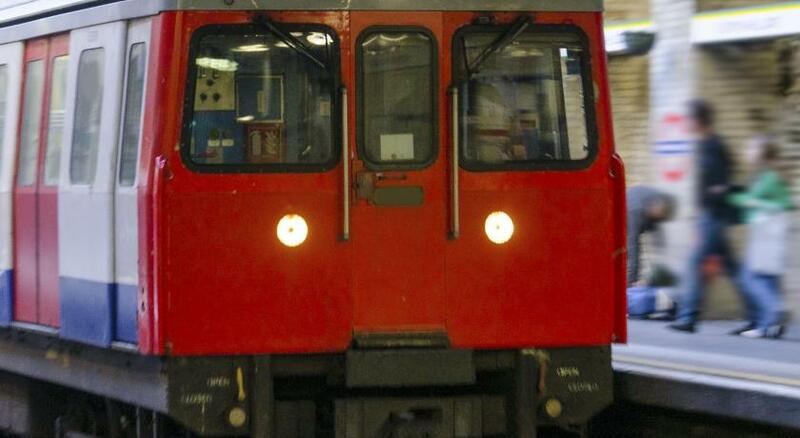 Accommodation had the right quality / price combination and situated opposite an underground station. Eating the same type of breakfast for 6 days was not fun! Adding variety to the breakfast menu will make a huge difference to those staying longer at the hotel. The location across from the tube station was very convenient. The main bed was very comfortable! The bathroom and shower were cramped but nice. Our room was cleaned and refreshed daily. Breakfast was included. 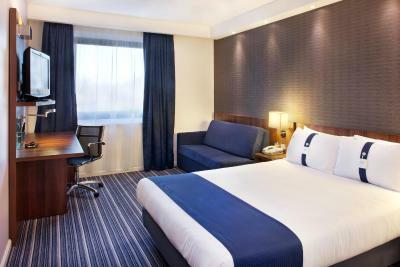 Holiday Inn Express London-Wimbledon-South This rating is a reflection of how the property compares to the industry standard when it comes to price, facilities and services available. It's based on a self-evaluation by the property. Use this rating to help choose your stay! One of our top picks in London.Offering a great location opposite Colliers Wood Tube Station, Holiday Inn Express London-Wimbledon-South is the ideal base to explore Central London, just 30 minutes' journey from Leicester Square. Guests may relax with a drink in the hotel's contemporary lounge. The hotel also offers a complimentary continental breakfast with cooked options. A number of modern bars, shops and restaurants can be reached within walking distance. Holiday Inn Express London-Wimbledon-South has stylish, modern rooms, all with a TV and a power shower. Free WiFi internet access is available in all the area of the hotel. The hotel is conveniently set outside the congestion charge zone and it is 18 miles away from Heathrow Airport, 23 miles away from Gatwick Airport and a 30-minute underground ride to Central London. When would you like to stay at Holiday Inn Express London-Wimbledon-South? Features include satellite TV and tea and coffee making amenities. House Rules Holiday Inn Express London-Wimbledon-South takes special requests – add in the next step! Holiday Inn Express London-Wimbledon-South accepts these cards and reserves the right to temporarily hold an amount prior to arrival. Breakfast was ok although obvious that it had been sat around for a while also the dining area was quite small and so timing was everything The sofa bed in the family room squeaked a lot and had a large dip in the middle also their were only two mugs and the room could have done with re decoration . It was very small and had no real room to put clothing away. Friendly very helpful staff and also the fact that the place was clean. The hotel is in great location for access to central London - right opposite Colliers Wood underground station for a 25 minute ride to the centre. There is lots of different food options outside the hotel too including a small Co-op opposite and a huge Sainsburys 5 minute walk away. There are lots of good looking restaurants too but we didn't try them. Lack of parking and also requirement to pay for parking? When the hotel hosts numerous tourist groups the situation at breakfast is quite crowded and not very comfortable. The bed was very uncomfortable needed a new mattress!! We were put in a disabled room (neither of us are disabled). The room was nic and big, but it was a disabled shower which flooded the bathroom. There wasn’t anything to mop the floor with so had to use towels which was annoying. The bed was very comfy and the staff very kind. The sofa bed for the two children wasn’t comfortable as the base wasn’t firm enough to support them. Housekeeping did their best to rectify but the sofa bed is really only good for one sleeper. Staff were excellent. Friendly, efficient and highly professional. very clean, near from the underground station, good neighbourhood (shops, restaurants), nice staff. we enjoyed our stay here! The bed was very comfortable and the breakfast was very good. Mattresses were really soft and worn out.